My story in The Tennessean about using art in landscape design (Saturday, Nov. 12, 2016) put me in touch with Stephanie Dwyer, a Paris, Tenn. metal artist who has taken an idea from centuries-old folklore and given it new life: Stephanie makes bottle trees. But hers are not the kitschy metal-pole-with-spikes contraptions that sometimes show up in catalogs and garden centers. Stephanie’s trees are thoughtful renditions of the form, and pay homage to the tradition that is said to have originated in West Africa, crossing the Atlantic with West Africans brought to the Americas as slaves. Before Stephanie moved to Tennessee from the Pacific Northwest, she had worked as a welder and had not considered this Southern custom. 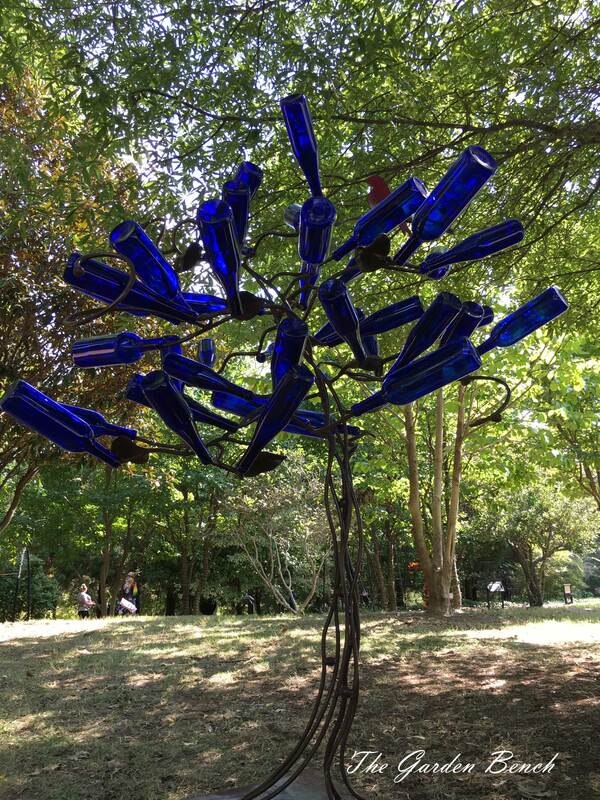 “When I moved to the South, I was asked to do a bottle tree because I weld,” she told me. Over time, her “signature” design has become the gracefully rendered Katrina tree, “bent but not broken from the hurricane’s winds,” as she describes it. According to archivists at The Smithsonian, the original meaning of the tradition has several interpretations, but a common one is that they protect the home by trapping evil spirits; once inside, the spirits are destroyed by the sunlight. Stephanie considers it a high honor that she was chosen to design and build the 14 ½-foot tall, 12-foot wide bottle tree for the permanent collection of the Smithsonian’s new National Museum of African American History & Culture in Washington, D.C. Visitors see the tree as they enter the culture galleries on the top floor of the museum. 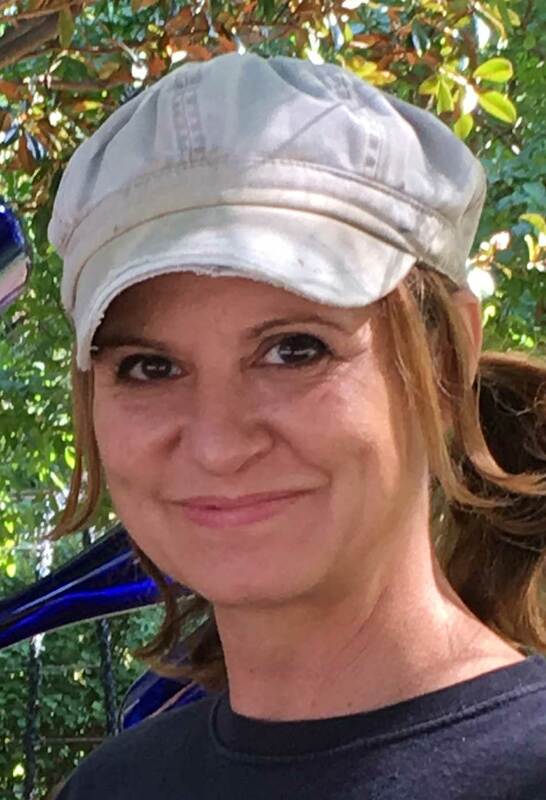 While she’s known for her bottle trees, Stephanie also designs and builds gates, arches and other design elements for the garden and home. You can see more of her work at http://stephaniedwyer.com. And for more on how to use art and garden ornaments in the landscape, see my story Garden ornaments set tone for outdoor spaces, which is online now at Tennessean.com. 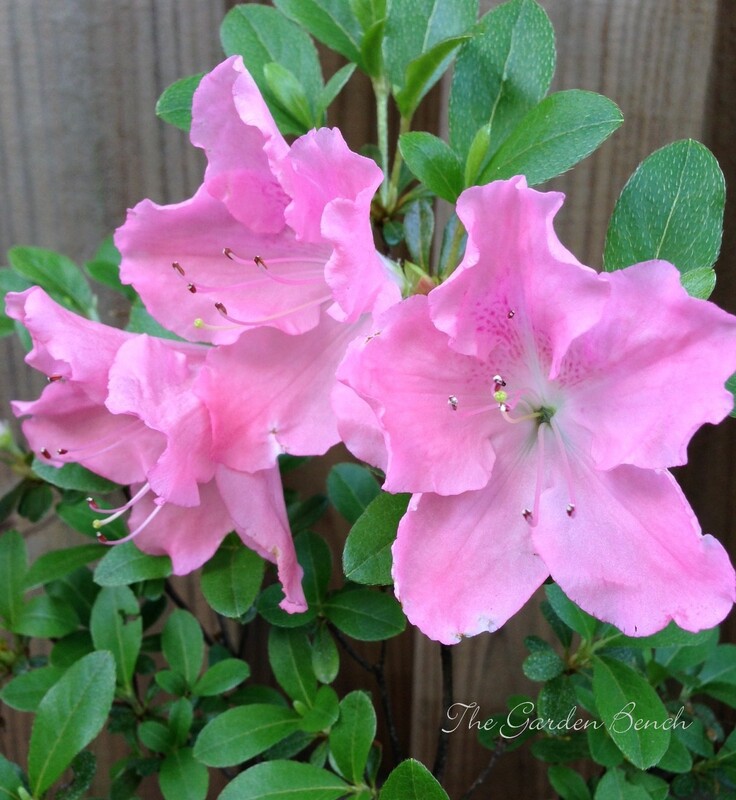 Cooler weather entices the gardener back outdoors for another gardening season. Here are tasks to consider in September. Plant a fall garden of vegetables that thrive in cooler weather: spinach and lettuce, cabbage, greens, turnips and radishes. Heat, weeds and insects are garden challenges (it’s still summer, after all), so plan carefully. 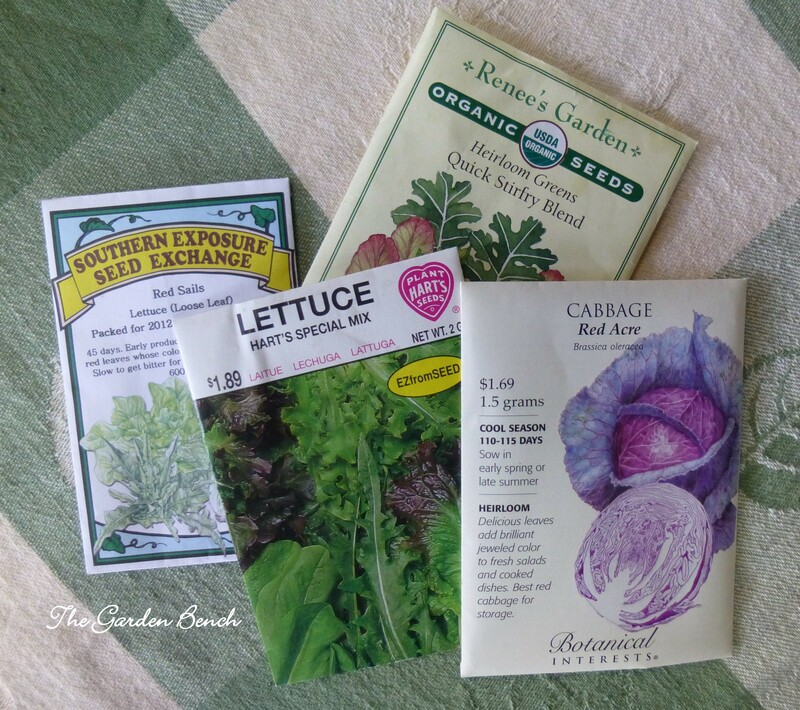 Save seeds for next year’s garden. Allow beans to dry on the vine; remove pepper seeds and spread them on a paper towel until they are dry; allow okra pods to turn brown on the plant, but harvest the pods before they split and drop the seeds on the ground. They key to successful seed-saving is to make sure the seeds are completely dry before storing them. It’s time to work on that cool-season (fescue) lawn. Reseed or refurbish an established lawn, or plant a new lawn between now and the end of the month. Remove thatch (the buildup of organic material at soil level) before sowing to improve seed contact with the soil. Keep the soil moist as seed germinates. Plant a bed of garlic. Plant individual cloves (pointed end up) two inches deep and about 4 inches apart in a sunny location with well-drained soil. Harvest the bulbs next summer. You may not have to water container gardens as often, but it’s still smart to keep an eye on them so they don’t dry out completely. Continue to deadhead perennials that are still blooming to keep them flowering as long as possible. Root cuttings of coleus, geraniums, begonias and other summer annuals to grow indoors in a sunny window over the winter. Plan to plant them outdoors again next spring. 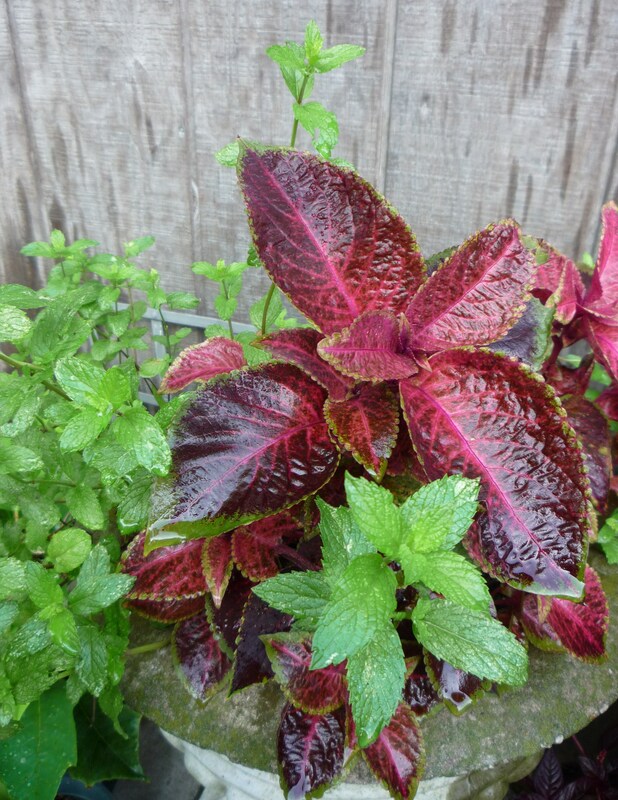 Continue to harvest basil to use with late-summer meals and to make pesto to freeze and use later. Cut dead leaves and dried stalks of daylilies. Continue to water the plants so they go into winter with a strong root system. Begin clearing out dead foliage, twigs and other garden debris from perennial and vegetable beds. 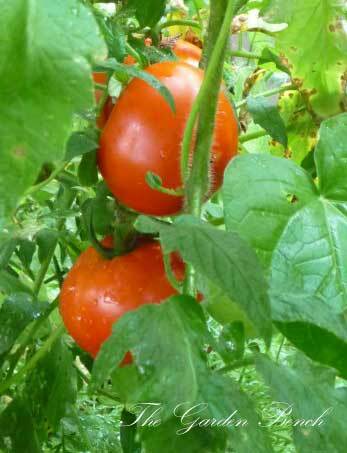 This helps keep insects and disease from wintering-over in the garden. If you have houseplants outdoors, begin preparing them to come back inside. 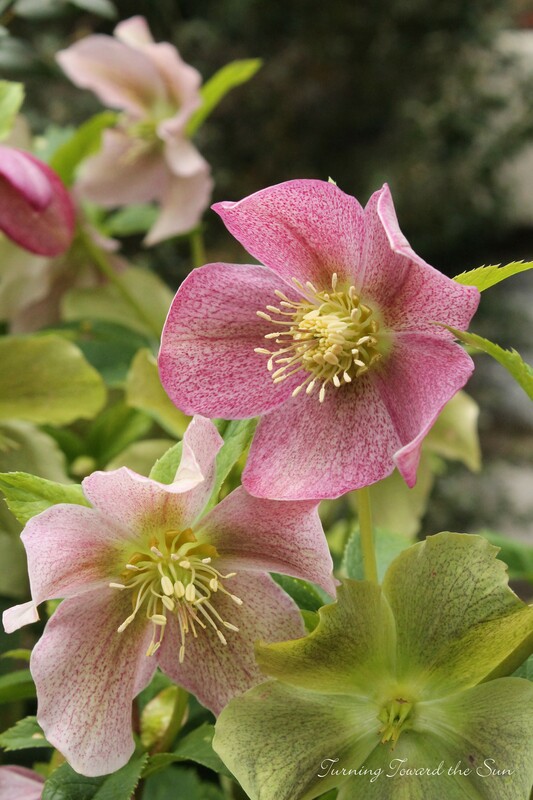 Transfer them to a shady area and clean the pots, remove dead or damaged foliage, and treat for insects that might hitch a ride into the house. 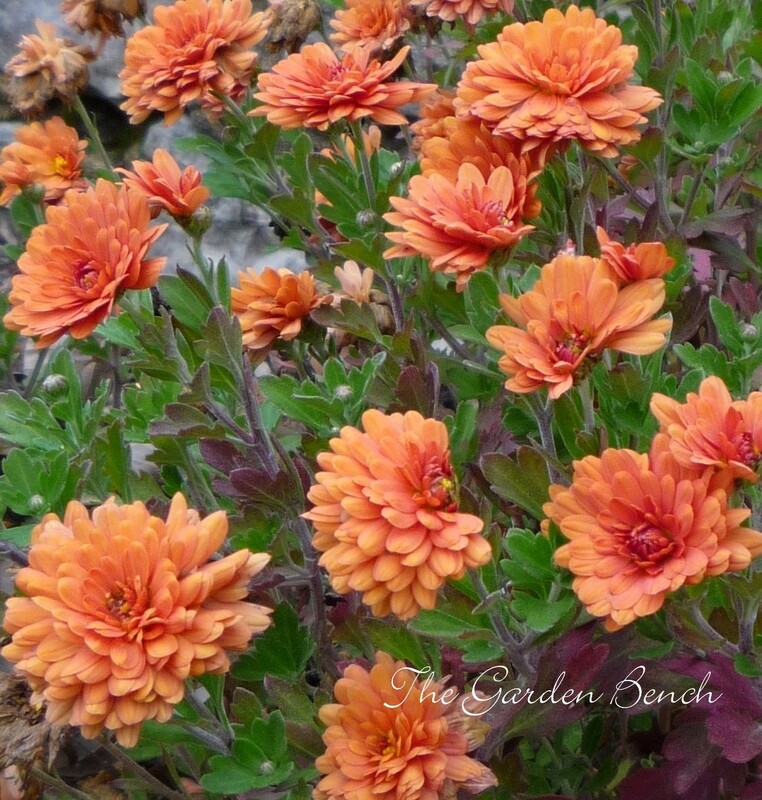 Use potted mums to bring fall colors to porches, patios and garden beds. Mums growing in containers should last for weeks if they are watered regularly. Clip off dead flowers as needed. Mulch is still a gardener’s best friend, even in fall. 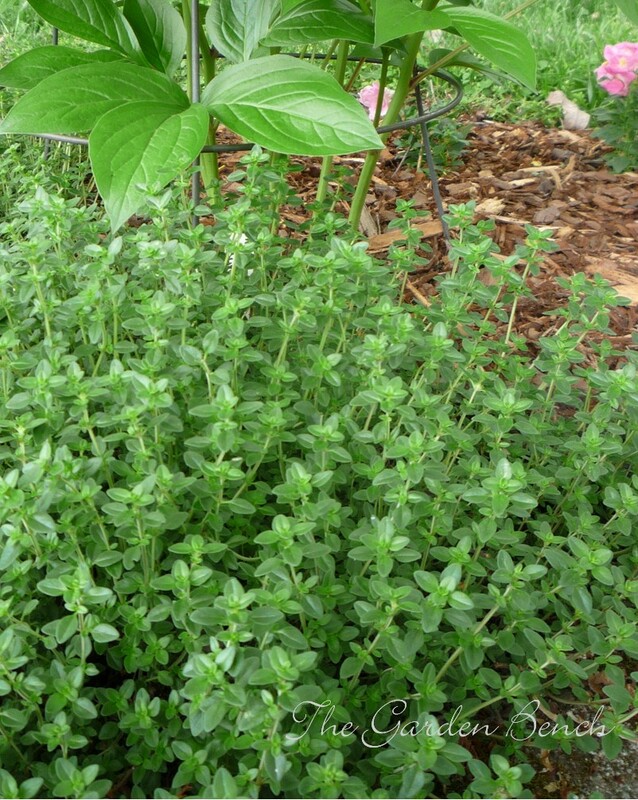 It helps keep soil moist and weeds at bay. 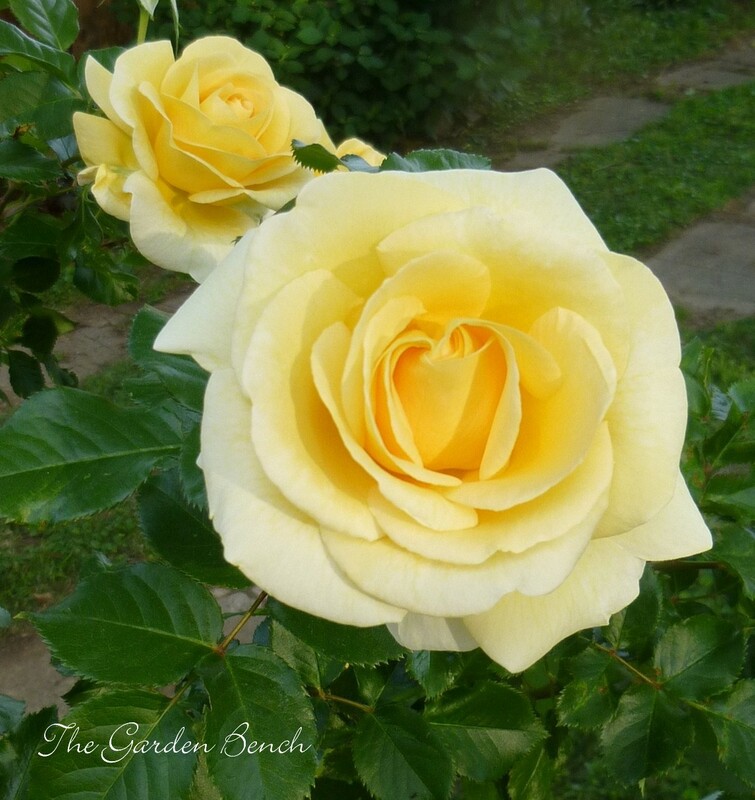 Add mulch to perennial beds and around roses to help protect plant roots this winter. Before things disappear from the garden, place plant markers where they’re needed to mark the location of perennials that die back to the ground during winter. Keep that new or refurbished cool-season lawn watered so that it establishes a good root system. Provide about an inch to an inch and a half of water a week, using a sprinkler if it doesn’t rain. Go ahead and buy those spring-flowering bulbs, but wait until the soil cools a bit to put them in the ground. You can begin preparing the beds now so they will be ready when the time is right. 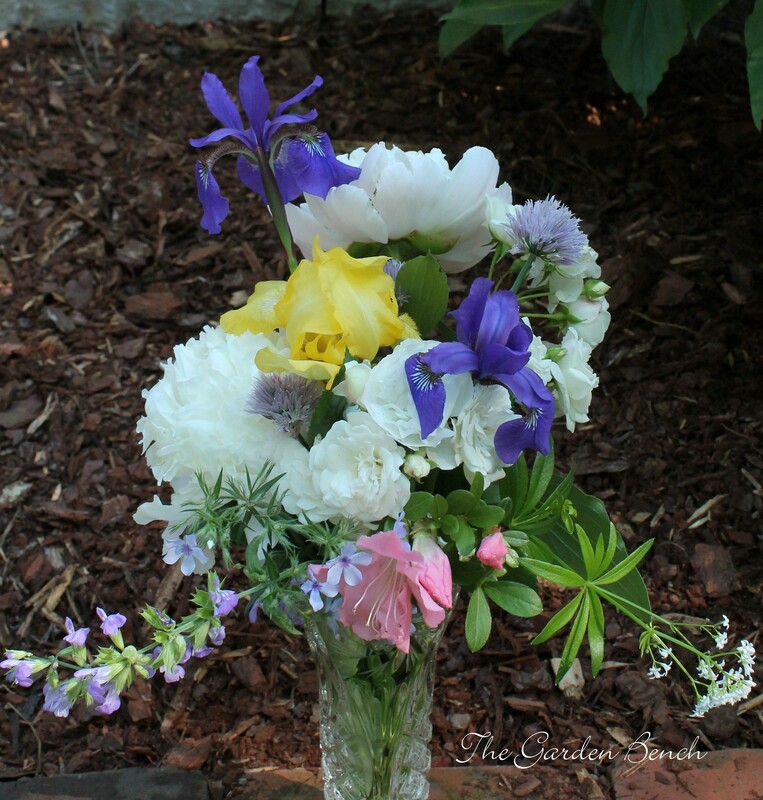 Take a tour of your own garden. Begin to make notes of this year’s successes, challenges, chores for the to-do list and ideas for next year. I have a Meyer lemon tree that I keep indoors. 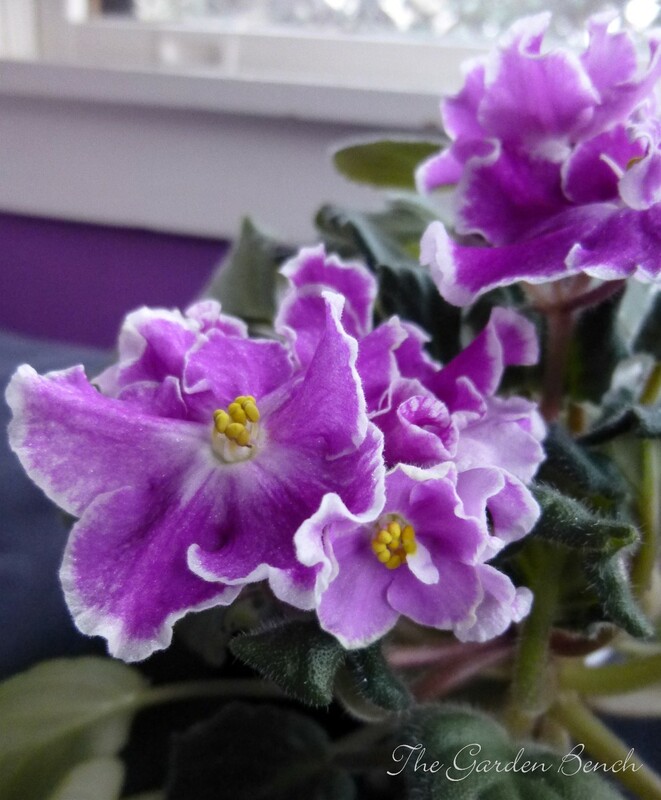 It’s often full of blooms and the flowers smell wonderful. I’m always looking for lemons to start growing, but the flowers dry up and fall off and I never get any fruit. 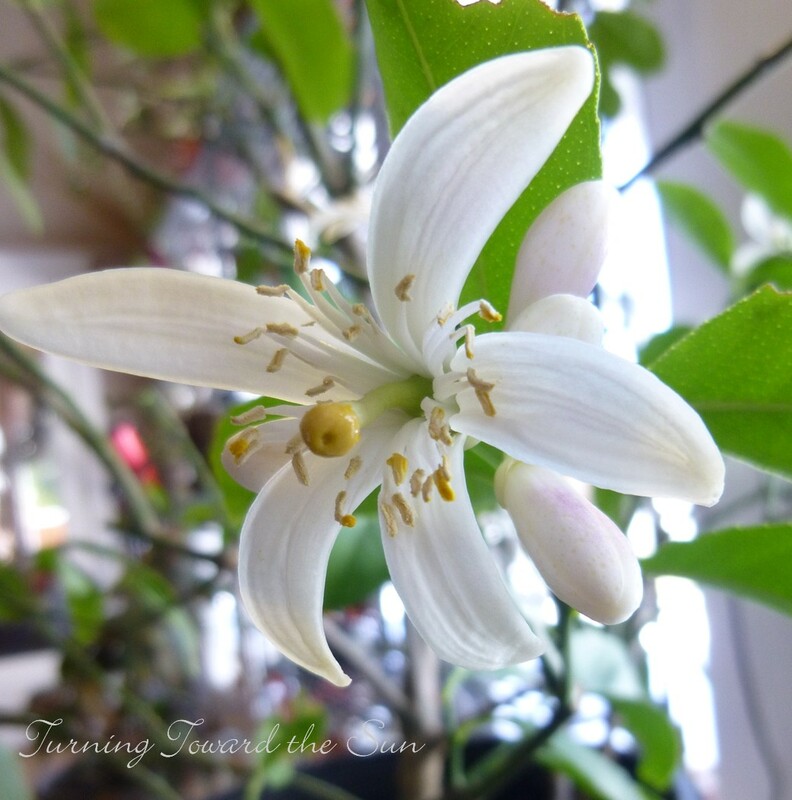 As long as the tree is indoors where the air is still and there aren’t any insects flying around, your Meyer lemon will most likely continue to be a delightfully fragrant but non-fruit-bearing plant. What the flowers need to produce fruit is the process of pollination. You’ve heard of the birds and the bees, right? Outdoors, flying insects (bees and other pollinators) go from flower to flower, dipping into the pollen on the stamens – the cluster of thin filaments — and spreading it to the stigma at the center of the flower. Indoors, if you want fruit, you’ll have to take care of that little detail yourself. Lemon trees are self-pollinating, meaning that the flowers shed pollen directly onto the stigma, but they still may rely on wind or insects — or human intervention, if necessary — to shake things up. Here’s how you can help: As the flowers open, use a cotton swab or a small artist’s paintbrush to collect pollen from the anthers (the tips of the stamens), then rub the stigma with the swab to transfer the pollen. It’s a slow process, but the tree should begin to produce lemons (which grow fairly slowly, by the way). Meyer lemons growing indoors where winters are cold need a lot of sunlight, and they also benefit from time spent outside when the weather warms up. Place a lemon tree in a protected spot outdoors, moving it gradually into full sun, when nighttime temperatures stay above about 50 degrees. Outdoors, the bees will do the job of pollinating the flowers, of course. In general, Meyer lemon trees thrive in good potting mix in a container that drains well. Make sure the soil doesn’t dry out completely, but don’t overwater it, either. Fertilize regularly with an organic fertilizer designed for citrus, following directions on the label. (I’ve used Espoma’s Organic Citrus-tone citrus and avocado food, with good results).